Whether you’re a marketing professional or a promotional novice, you never want to decrease the life of your marketing campaigns. Throughout my marketing career, I have seen (and committed) a fair share of marketing faux pas. If you’re wondering how you can end up killing your campaigns, please keep reading. Not having an understanding of who your audience is. Sometimes organizations are attracted to the newest emerging platform and include it into their pre-existing strategy. This is a smoking gun. It’s best to develop a micro-strategy for that specific platform before incorporating it into your overarching marketing strategy. If this was done initially, they may have discovered there was no need to even have a presence there in the first place. How your audience uses platforms leveraged in your campaign. 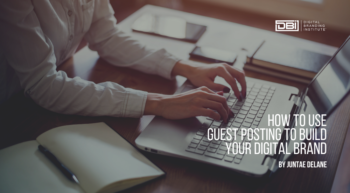 For instance, if you are a local massage therapist who had moderate success on your Instagram account, is there a reason to establish a presence on Snapchat? Or if you are a blogger that deals with B2B transactions, is there a reason to become a LinkedIn publisher? What are the pain points that your product or service can help alleviate. Having a greater understanding of your audience should be the first step when developing a campaign strategy. Some entrepreneurs will produce evergreen campaigns with no specific targets hoping that new targets will emerge. Some may see a practical benefit in doing so; however, why run two campaigns to accomplish one task? Your marketing campaign will be optimized by doing research beforehand so you can make an impactful and relevant introduction to your brand. Additionally, understanding your audience’s pain points will get you higher conversion rates and more qualified leads. If you simply promote your product or service with the hopes that your audience will become aware of your services, you will kill your campaign. Most marketers are savvy enough to know that all campaigns need a strategy. However, some only plan a basic strategy with the hopes that social media will carry the campaign. Some may consider planting a seed as a strategy. Mapping out the location to dig a hole. Accounting for the amount of water it would need and putting some ‘financial fertilizer’ to help it grow. This process seems logical to grow a tremendous tree. However, you don’t know how many oranges it will produce. To make your marketing effective, create a strategy that produces X number of oranges from that one seed. Is this challenging? Of course. But when developing a strategy, let this analogy guide your thinking. Do everything you can to produce those oranges. One seed may not be enough. The more sales pitches your campaign contains, the less valuable it is to your customer. No need to force the relationship. If your campaign is engaging enough, customers will seek out more information about your product or service . With all the tracking services out there, you should be able to easily track your campaign efficacy. From Google Analytics to KISS Metrics you can establish a tracking dashboard at virtually no cost. However, what will kill your marketing campaign is if you identify the incorrect metrics. I come across business owners who want to simply increase their social media following without tracking if those follows are bringing customers to the website. It is important to not only track your campaign, but also align it with your overarching marketing strategy. Years ago, I recall working with a CMO who’s mantra was to put the company logo on “every blade of grass.” I’m sure that he no longer uses this mantra to guide his team as today’s consumers often find brand messages intrusive and annoying. 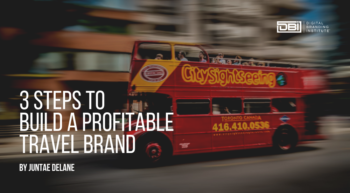 There’s no need to go overboard with your branding efforts. You will implement several campaigns throughout the life of your brand and one campaign is simply a microcosm. You shouldn’t expect for your customers to engage with your brand only once. Give a piece, a very juicy piece, and they might come back for more. Have these factors killed your marketing campaign? Am I missing something?